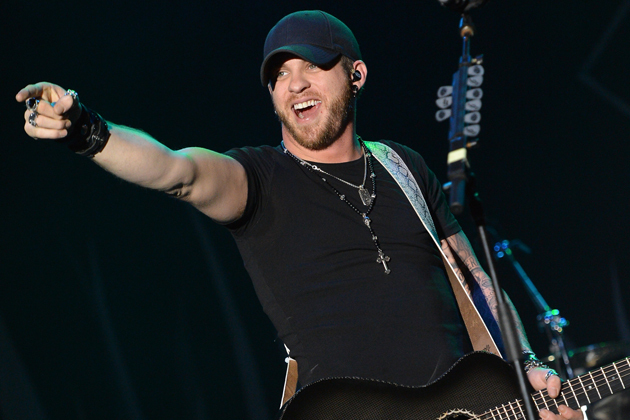 On The Road: Brantley Gilbert is firing up the summer of 2017 with a vengeance. Coming off a weekend of playing to 30,000 in Charlotte and Alpharetta, Georgia, the CMA Song of the Year nominee brought 15,000 to Atlantic City’s BeachFest, the second in a series of concerts that also included Pink, then sold out Gilford, NH’s Bank of New Hampshire Pavilion for the second time on Saturday. As intense as this weekend’s shows were, it’s all a preface for the Brantley Gilbert Big Machine Brickyard 400 this Sunday. After headlining the iconic Frontier Days Festival in Cheyenne, Wyoming, Gilbert heads to the Indianapolis Motor Speedway where he will perform one song at the legendary NASCAR race, now in its 24th year. Having sold out his winter “The Devil Don’t Sleep Arena Tour”, Gilbert’s summer has been no less incendiary. Though not a part of Live Nation’s annual MEGATicket, the man NPR offered, “is acutely aware of what keeps his audience feeling connected to him…that his fans, branded the BG Nation, identify with his bellicose tone, his defiant posture, the contempt he aims at any hint of condescension, the slight suggestion of softness behind the sneer” is doing unprecedented business without being included in the amphitheater promotion. With “The Devil Don’t Sleep” being named one of Rolling Stone’s Best of Country and Americana So Far…alongside Willie Nelson, Chris Stapleton, Jason Isbell, Allison Krauss, Nikki Lane and tour opener Luke Combs, it suggests Gilbert’s high impact introspection reflects the internal lives of so many working Americans, who are all trying to figure out how to live free, make ends meet and still love life in all its permutations. Gilbert returns to Indianapolis for a full show Saturday, August 5th at the Klipsch Center. The Brantley Gilbert Brickyard 400 will be broadcast on NBC. (Check local listings). For a complete list of tour dates and more information, visit BrantleyGilbert.com and follow him on Facebook and Twitter.